Gutters are an indispensable fixture of any home. They protect your house from water-related damage by collecting rainwater and snowmelt and safely channeling it away from your property. While the gutter installation process may seem straightforward, it’s a complicated job, and even the simplest mistakes can lead to problems and additional costs down the line. That’s why it’s important to entrust this task to professional gutter and roofing contractors, like Sprague Construction Roofing LLC, that have the necessary experience and tools to get the job done properly. Shopping for gutters can be a confusing experience, as they are available in many materials, sizes and shapes. There are also technical considerations, like how thick should the gauge and downspouts be? Or how wide should the troughs be to accommodate typical amounts of rainfall in your area? An experienced gutter contractor can help you choose the best system to suit the demands of your local climate and to properly fit your roof. Seamless gutter systems need a slight slope to direct water to the downspouts effectively. 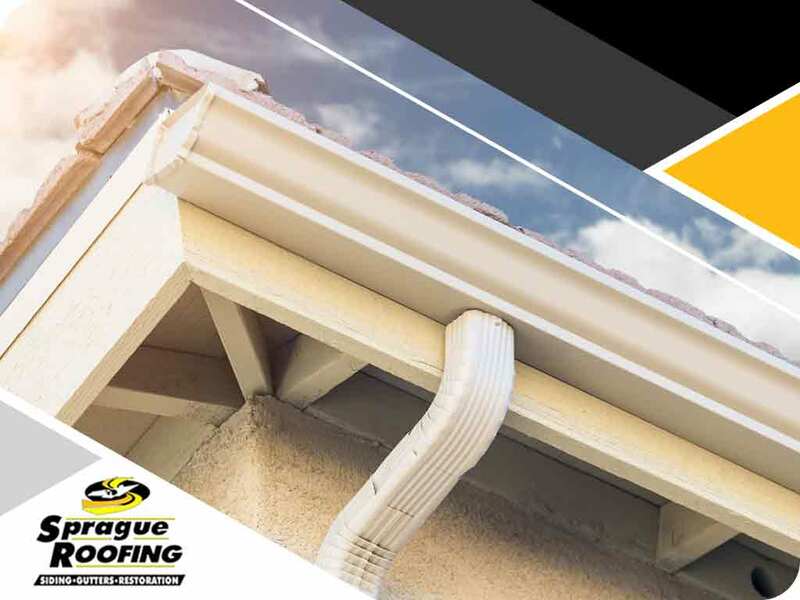 Depending on the size and material, a gutter system should have at least one or two inches of decline for every 40 feet of length so that the water will not spill over the sides. As experienced gutter and residential roofing professionals, we’ll make sure that your gutters have the right pitch for efficient and smooth operation. It is a common misconception that hanging gutters right at the edge of the roof is the ideal installation method. In reality, drains should be installed a few inches under the edge of the roof so that rainwater can flow naturally into the troughs instead of going to the back edges. Sprague Construction Roofing LLC is the company to trust for all your gutter, residential roofing and commercial roofing needs. With over nine years of industry experience, we install seamless gutters that provide lasting protection for your home. Call us today or fill out our contact form, to get started with a FREE consultation. We serve several cities across Colorado and Wyoming, including Fort Collins and Cody.